WIGAN, Sporting Alert – Manchester United, still without 13 first team players, beat Wigan 2-0 in the opening pre-season game of the season, which was also the first in charge for Jose Mourinho. Mourinho, who started a mixture of young and experienced players at the DW Stadium on Saturday, replaced Louis van Gaal as the manager at Manchester United for this season and the Portugal coach was delighted with the start. Half-time substitutes Will Keane and Andreas Pereira provided the goals for the Red Devils in the second half. The game also saw summer signings, playmaker Henrikh Mkhitaryan and centre back Eric Bailly making their debuts for Manchester United. “I am very happy,” Mourinho said on Manchester United official website at www.manutd.com. “The result is obviously not the most important thing, but it is always important. Mourinho noted that there are still things lacking, but remains satisfied with the overall performance, given the short training period before the first game. “They were not perfect of course because the conditions are not the best with only 10 days of training, accumulation of fatigue and no sharpness, so it takes time,” he said. “But I could see things that showed the players were starting to think in the way I think about football. That pleased me. 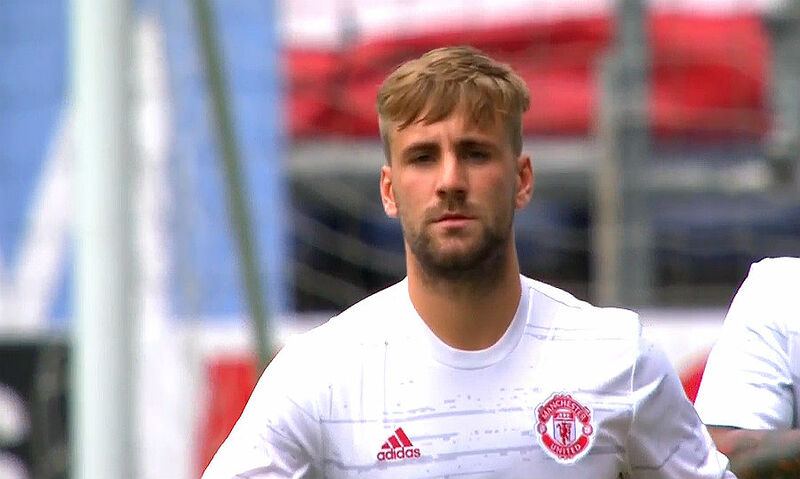 In addition to Mkhitaryan and Bailly, Manchester United fans got the chance to see a fit-again Luke Shaw back in action. Michael Carrick, Ander Herrera, Memphis Depay, Timothy Fosu-Mensah, Jesse Lingard, James Wilson, Juan Mata, Ashley Young, Adnan Januzaj, Antonio Valencia and Phil Jones all featuring. Manchester United will next play against Borussia Dortmund in the second pre-season game, which is part of the International Champions Cup in China, on July 22. Wayne Rooney, Zlatan Ibrahimovic, Marcos Rojo, Marcus Rashford, David de Gea, Anthony Martial, Bastian Schweinsteiger, Marouane Fellaini, Matteo Darmian, Sergio Romero,Chris Smalling and Morgan Schneiderlin, were among the players missing.